Edwin Jagger Safety Razor Long Handle Collection DEL8714BL. Fitted with a head that has been designed by experts in order to provide maximum precision. It is a closed comb razor made from high-quality stainless steel. 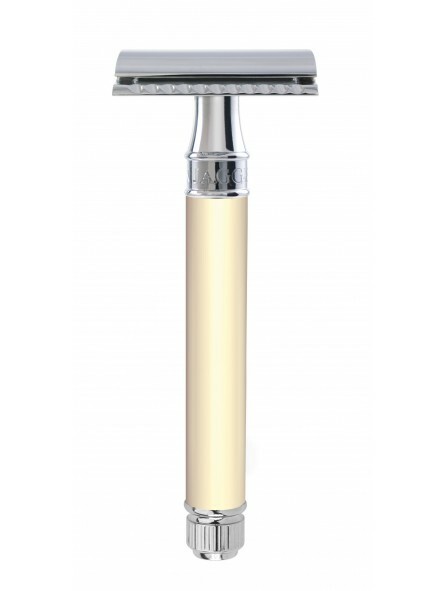 This razor has stirred up a lot of interest amongst traditional shaving experts for its great performance and precision. This comes from the effort that was put into its design. 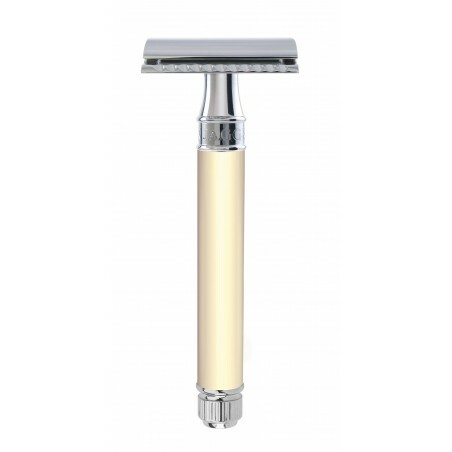 Light weight handle made of light ivory acrylic with chrome details on which the brand’s name Edwin Jagger can be appreciated. The handle length is 1 cm longer to improve grip. This razor is different to the DE87BL in the handle length. This product is 1 cm longer for a better grip. The razor comes with 1 Feather blade.